Dominic was born & bred in Leeds and started dancing at the Nydza School of Dance, Bingley. Followed by training at the Central School of Ballet, London. 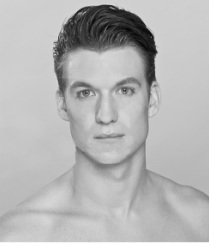 He joined New Adventures in 2004 & has appeared in the most productions of any dancer. He has been a principal with the company since 2008. He has performed leading roles in Edward Scissorhands (Edward), Dorian Gray (Cyril Vane), Swan Lake (Prince), Lord of the Flies (original cast Ralph & dance captain), Early Adventures, Nutcracker (Fritz & dance captain), Sleeping Beauty (original cast Leo). Has also performed in The Car Man and Cinderella. Other credits: Dancing with the Stars (Australia); Star Academy (France); Original cast of ROH2's The Red Balloon by Aletta Collins as the lead role of Pascal; RODA 09 with Douglas Thorpe; Cutty Cargo with Shanty Theatre Company; Harry Potter and the Goblet of Fire; StreetDance 3D film; Skype advert; Stateless, Paul Oakenfold and Mis-Teeq music videos; Latitude Festival 2010 & 2012; Italian Vogue; Marie Claire (Japan); Time Out; Richard II film; World War Z film; Swan Lake 3D film; Matthew Bourne’s Christmas show; Sleeping Beauty film. He has been a workshop leader for Re:Bourne, New Adventures educational department since it began in 2008. Co-choreographed The Quest in Okinawa & Taiwan 2013. Dominic was Dancing Times Dancer of the Month, January 2010. Nominated for Outstanding Male Dancer (modern) in the Critics' Circle National Dance Awards 2009. Debora was born in Terni, Italy in 1992, where she began her dance training at the “Studiodanza” school. In 2005 she joined the “ Accademia Internazionale della danza” in Rome directed by Margherita Parrilla. In 2008 Debora was granted a scolarship at the school of “Balletto di Toscana”, directed by Cristina Bozzolini and in 2011 joined the youth company “Junior Balletto di Toscana”, playing a leading role in Coppelia and Boule de neige, both directed and choreographed by Fabrizio Monteverde. She also collaborated with the “Oniin Dance Company”, playing in Corruption, a contemporary production directed and choreographed by Daniela Rapisarda and Alessandro Vacca. Going from Florence to Bologna, Debora lately moved to Verona at the “RBR Dance Company”of Cristiano Fagioli and Cristina Ledri, playing Giulietta e Romeo, l'amore continua... and Mosaico . Carmine was born in Italy and began his training in Ballroom at the age of six. Since 2009 he represented Italy in international dance competitions around Europe. He trained in ballet and contemporary dance at the Italian National Academy of Dance (Rome). He graduated with a BA in foreign languages with a specialization in Dance History. He worked with contemporary dance choreographers such as Salvator Spagnolo, Matteo D' Alessio and Laura Di Biagio. He moved to the UK to continue his study in dance performance and currently is touring with Mapdance company (MA company of University of Chichester). In the last year he worked with choreographers such as Kerry Nicholls, Gary Clarke, Liz Aggiss, Hagit Bar and Yael Flexer. Akiyo was born in Japan, where she initially trained in ballet. She came to the UK to study with Kate Simmons Dance Ltd where she gained a National Diploma in Professional Dance studying ballet, contemporary, jazz, flamenco, and tap. During her attendance at KSD, she also studied theory in education and became a qualified teacher in Ballet. 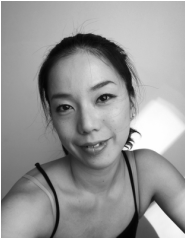 To deepen her interest in contemporary dance, Akiyo went to London Contemporary Dance School receiving an MA in 2012. Professionally, Akiyo has danced in the USA, Japan and UK working with artists including Jonathan Lunn, Chisato Ohno, Jeannie Steele, Christopher Saunders and Pamela Moore. Her recent work includes dancing for Threads Dance with Elizabeth Peck creating a role in confines, and Kaonashi Dance where she performed the premiere of FADE at Robin Howard Theatre. Oliver trained at Central School of Ballet, graduating with a BA Hons in Professional Dance and PerformanceAt the age of 19 he went on to perform with The State Ballet of Georgia under the direction of Nina Ananiashvili which toured internationally. Oliver then joined the Peter Schaufuss Ballet Company where he performed soloist roles such as Benvolio in Sir Fredrick Ashton's "Romeo and Juliet" and George Harrison in "The Boys from LIverpool"
Following this Oliver went to America to work for "Company C Contempoary Ballet" dancing principal roles in works by; Peter Anastos, Charlie Anderson, Twyla Tharp, Gregory Dawson, Val Caniparoli and David Grenke. Other works include"StringWerck" international tour with Garrett Morton Productions, "One Night in Vienna" UK tour Directed by Alex Worrall and Coca Cola performed with the UK Dance Machine Directed by C.Sparkey. Kieran Trained at The Royal Ballet School and upon graduation toured with The Royal Ballet in the USA. Kieran then joined New York Theatre Ballet, where he danced a number of soloist and principal roles in work including Capriol Suite (Ashton), Three Virgins and a Devil, Rodeo and Brigadoon (Agnes de Mille) and the role of the Mad Hatter in Alice in Wonderland. In 2005 Kieran Toured extensively throughout Italy, Creating works with Marco Pelle before accepting a contract with Los Angeles Ballet for the company's inaugural season. Returning to the UK, Kieran performed with English National Ballet before joining Northern Ballet, dancing Puck in David Nixon's A Midsummer Night's Dream alongside roles in David Nixon's Hamlet and The Nutcracker. During a subsequent season with Scottish Ballet, Kieran danced works including Ashley Pages' Cheating, Lying, Stealing and Richard Alston's Carmen. Kieran Created roles in Morgann Runacre-Temple's original productions of Cinderella (2009) Romeo and Juliet (2010) and Scheherazade (2011), and danced the lead couple in Michael Corder's Lyric Suite for The National Ballet of Ireland. Kieran returned to New York Theatre Ballet in 2010 to dance The Prince in Firebird and Sleeping Beauty, as well as works by Peter Gannaro, Anthony Tudor and Jose Limon. Kieran also performed at the New York Pops 2010 at Carnegie Hall. In 2011 he danced with Michael Clark Company at the Tate Modern. In 2012 Kieran Performed in The Most Incredible Thing, a collaboration between Choreographer Javier De Frutos and Pet Shop Boys at Sadler's Wells. Kieran then joined Marc Brew Company performing Nocturne at outdoor dance festivals and Fusional Fragments, a collaboration between Marc Brew and percussionist Dame Evelyn Glennie. In 2013 Kieran danced in 'FLOW' at The Print Room choreographed by Hubert Essakow before working with Yorke Dance Project in Acorss Connections a dance piece in collabortion with Pennington Dance Group, Los Angeles. He has also worked on TV and Film projects and has made s guest appearances with Westside Ballet, California, The Irish National Youth Ballet and Pasados Dance Company, Mallorca. Alice Baccile was born in Italy in 1984. She started to study dance in her hometown, and then moved to Rome in 2004 where she worked with Aleph Company of Paola Scoppettuolo for two years. Afterwords she changed to join the Company of Marrucino Theater for one season and then decided to move to Geneva. There she joined the Ballet Junior de Genéve in 2008 for two years where she worked with choreographers including Stijn Celis, Thierry Malandain, Ken Ossola, Alexander Ekman, Gustavo Ramirez Sansano, Patrick Delcroix, Andonis Foniadakis, Guilherme Botelho and Itzik Galili. In 2010 she moved to Munich to join the Garnterplatz Theater until 2012. There she performed in Hans Hanning Paar's 'Nutcracker' playing Clara, in Gustavo Ramirez Sansano's new creation 'Everything', and also in the creation of Fernando Melo called 'Foutain'. Alice is now a freelance dancer working in different projects around Europe. Born in Verona, Alessia first went to New Zealand to study at the New Zealand School of Dance in 2001. She then went on to further her study with the English National Ballet School (2002 / 2003). On graduation, Alessia joined the cast of Das Phantom der Oper in Stuttgart. Joining the Royal New Zealand Ballet in 2004, Alessia says she’s had numerous of highlights during her time with the company , including performing in David Dawson's A Million Kisses To My Skin, Milagros and Banderillero of Javier De Frutos, the charming Clara in The Nutcracker, a stepsister in Christopher Hampson's Cinderella, Neopolitan in Swan Lake, the dainty and sparkly Tinkerbell in Peter Pan, Cupid's solo in Paquita and Michaela in Didi Veldman's Carmen. Since Alessia moved back to London, she's been working on various projects in both theatre and feature film. She's taken part in a Motion Capture performance at Pinewood Studios for "Snow White and the Huntsman" the movie, directed by Ruper Sanders, and she's performed at the Royal Albert Hall for the Andrew Lloyd Webber's 25th Anniversary of "Phantom of the Opera". She recently danced at Sadler's Wells as part of the cast of "The Most Incredible Thing" by Pet Shop Boys and Javier De Frutos. Born in Germany and raised in Spain, Melanie López has been dancing since the age of three. Having trained extensively in classical ballet, her passion for movement led her to explore other forms of dance such as Spanish dance, flamenco and contemporary dance. In 2009 she moved to London to study a Postgraduate diploma at the London Contemporary Dance School, upgrading to a Master of Arts in 2011. (2011), which was performed in Spainand premiered at the Robin Howard Theatrein London. During 2011 she joined the Peter Schaufuss Ballet, touring as a soloist across Denmark, performing Ashton's Romeo & Juliet at the London Coliseum and The Nutcracker at the Brighton Dome. Lately, she performed at Sadlers Wells Theatre as part of the cast of The Most Incredible Thing, choreographed by Javier De Frutos and with music by the Pet Shop Boys. Born in Guildford, England, Jaered grew up in rural West Sussex. He started dancing at the age of two at the Glynde Place Dance School (where he won his first Choreographic Prize at the age of 8) before joining Elmhurst Ballet School at the age of 11. Jaered studied tap, jazz and Spanish dancing and also Acting, Singing and Performing Arts. When he was 14 Jaered gained a place at London's acclaimed Royal Ballet School, firstly at White Lodge and then at their new facility in Covent Garden. Here he studied Ballet, Contemporary (Graham and Cunningham techniques), Irish, Scottish and Character dancing. He also further developed his growing interest in choreography and then went on to win second prize in the School's annual Ursula Morton competition. He was also a Young British Dancer of the Year finalist in 2006. After graduating Jaered danced with the Royal New Zealand Ballet from September 2008 - 2012. Here he performed the works of many different choreographers including Christopher Hampson, Javier de Frutos, Didy Veldman, David Dawson, Cameron Macmillan, Larry Keigwin, George Balanchine, Benjamin Millepied and Jorma Elo amongst others. Jaered's own tribute to Lady Gaga (created during an in-house choreographic workshop) became a viral sensation on YouTube in 2010 and achieved global recognition. It gained 175,000 views in 2 weeks and became the most watched YouTube video in New Zealand that month. He also starred as one on the main featured dancers in both seasons of the award wining reality TV3 series 'The Secret Lives of Dancers' and became the viewers' firm favourite. During his stint at RNZB, he worked closely with the Education Team going into schools teaching classes, choreography workshops and repertoire to young people aged 4-18 years. In 2012 Jaered created a work called 'Feral' in collaboration with composer Robbie Ellis and the Royal New Zealand Symphony Orchestra, this work received rave reviews. 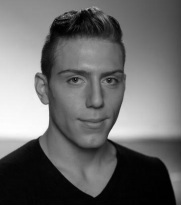 Jaered is now based back in the the UK and is working as a freelance dancer and choreographer. In 2012 Jaered also performed in a charity gala to raise money for children living with cystic fibrosis. her training for six years at the Ecole Supérieure de Danse de Cannes Rosella Hightower, with a scholarship from the Ambrosoli Foundation, Zurich. In 2000, Catarina joined Ballet du Rhin as an apprentice and performed works by the director Bertrand d'At. In 2003 she worked with Javier De Frutos, in Companhia Instável's project, Portugal. The same year, Catarina joined Companhia Portuguesa de Bailado Contemporâneo, where she worked with choreographers Vasco Wellenkamp and Benvindo Fonseca among others. In 2006, Catarina performed works by Rui Horta and in 2007, she worked with Portuguese choreographer César Moniz. Catarina joined Wayne McGregor | Random Dance in 2008. Since then she has been performing and touring McGregor's works, as well as teaching numerous workshops. Catarina has taught for Laban Summer School 2011. Catarina is a certified Pilates Mat work Teacher from Body Arts and Science International Pilates ( BASI ), where she trained with Amit Younger. Louis was born in Bristol in 1990. He started dancing at the age of 7 and graduated from The Royal Ballet School in 2010. Whilst at The Royal Ballet School, he danced in the annual performances at The Royal Opera House and he has been part of many productions as a student with The Royal Ballet. 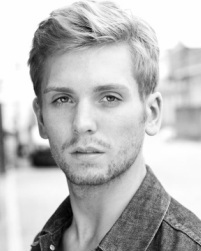 Louis joined Wayne McGregor | Random Dance in 2010 and has performed worldwide with the Company. He created a role in 'FAR' by McGregor, which premiered at Sadler's Wells in November 2010. He is also a model at Hollister by Abercrombie & Fitch. Gail has enjoyed nearly 50 years in showbusiness, having worked as an actress, dancer and acrobat. In her early years she toured the world with her solo contortion act, performing at the most notable cabaret clubs and as a guest artist at prestigious venues such as The Royal Albert Hall. After this multifacted performance career, Gail turned to choregraphy and has choreographed shows in London’s West End for Bill Kenwright as well as at notable provincial theatres including the Bristol Old Vic, Bath Theatre Royal and The Everyman Theatre, Cheltenham. Gail was Head of Dance and Movement Director at The Bristol Old Vic Theatre School for 30 years before becoming Dance Director for CDC. She has directed and choreographed numerous productions for BOVTS and has a particular interest in cross-art form work. Chandelle began training at eight years old. She subsequently attended the Legat School of Dance in East Sussex and studied Ballet and Contemporary. In 2008 Chandelle successfully completed the Laban BA (Hons) in Dance Theatre and in 2009 the Masters in Performance whilst touring internationally with Transitions Dance Company. Chandelle currently performs with Beyond Repair Dance, E-Dance and A.D. Dance Company and alongside these has collaborated with Docklands Sinfonia Orchestra, renowned Tuba quartet YouTuba and has worked as a Sadler’s Wells Dance Artist. Chandelle is also currently working with Sven K Dance creating a new work for February 2013. Chandelle also works a lot in the fitness industry and looks to bridge this gap by focussing on physical and mental strength in dance and performance. Originally trained as a child / teenager at Sandsgate Theatre School in Essex, Emma Cole then went on to train in Ballet, Contemporary Dance, Release Technique, Improvisation, Physical Theatre and Acting at Middlesex University 1998-2000. Since then, she has worked as a Dancer as a Professional Dancer for numerous International Choreographers such as Laura Scozzi, Amir Hossienpour, Vanessa Grey, Jamie Watton, Yolanda Snaith, Mark Bruce, Andrew George and Bernadette Iglich. She has performed at The Royal Opera House, Glyndebourne Opera, The Royal Albert Hall, Opera North, Paris Opera, Opera De Dijon, Opera De Lille and De Vlaamse Opera in Belgium. In the summer of 2012, Emma performed her first acting role as 'Audrey' in Shakespeare's 'As You Like It'. She was also the choreographer for this production with The Winchester College Players and performed in a run at The Minack Theatre in Cornwall. Emma has worked as a choreographer for an award winning short film called 'First' by Tinge Krishnan and as an asisstant choreographer to the Director for a Music Video for 'Bib' - 'I wanna tear up the streets'. Emma has worked alongside Paul Chantry in a variety of Operatic productions and is delighted to now have the opportunity to work with him and Rae under their inspiring Choreographic Direction. "Paul and Rae have unwavering passion & determination, boundless positive energy, humble integrity and abundant and infectious creativity - It is genuinely an honor and a blessing to be working with them!" Originally from East London, Lindsay went on to complete a degree in English at Oxford University. While at Oxford she appeared in over a dozen productions including Juliet in Romeo and Juliet, Marianne in Sense and Sensibility, Miranda in The Tempest, Laura in Some Voices, Alice in Closer, Beatrice in Much Ado About Nothing and Queen Elizabeth in Don Carlos at the Oxford Playhouse. Since leaving Oxford, Lindsay has performed at the Soho Theatre and at The Roundhouse and toured with 101 Theatre Company playing Helena in A Midsummer Night’s Dream at North Western University, Chicago. She is currently in her final year at Bristol Old Vic Theatre School and is due to appear as Marina in Pericles at the Redgrave Theatre in February. Hannah studied English at Corpus Christi College, Cambridge, and trained as an actor at Bristol Old Vic Theatre School. Credits for BOVTS: Frau Braun in The Last Days of Mankind, Thaisa in Pericles, Belle/Tiny Tim in A Christmas Carol, Hermione in The Winter’s Tale, Harriet in The Man of Mode, Irina in Three Sisters, Gilda in Design for Living and Rachel in Love and Understanding. Credits Pre BOVTS: Elizabeth Bennet in Pride and Prejudice (UK/Eire Tour), Lavinia in Titus Andronicus (Edinburgh Fringe), Hermia/Snug in A Midsummer Night’s Dream (Open Air Tour), Sue in The Cement Garden (FallOut Theatre), Charity in Anything Goes (Cambridge Arts Theatre), Olivia in Twelfth Night (Cambridge University) and Susan in The Lion, The Witch and The Wardrobe (Cambridge ADC). Hannah’s choreography credits include A Clockwork Orange (Soho Theatre/International Tour).